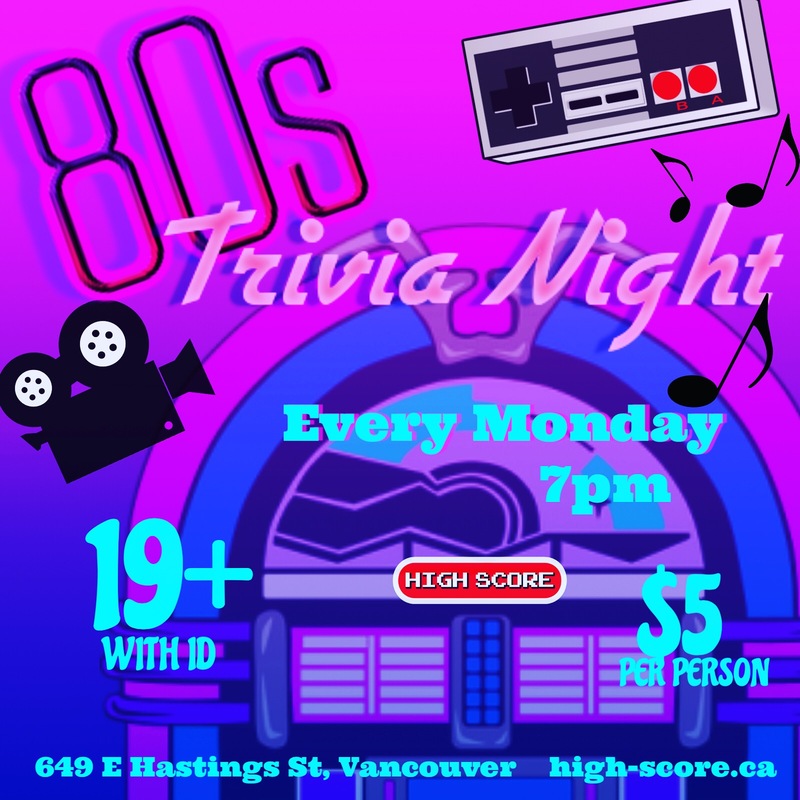 Compete with your friends for our weekly 80’s Trivia Night. Earn points to gain more chances in the draw at the end of the night. Winners will receive one of our lovely gift certificates, making your stay all the more inexpensive. Categories include: Video Games, Music, Movies, and events from our favourite decade, The 80’s!